Our balloons hold between two and 12 passengers. Arriving at dawn, it takes about 30 minutes to prepare the balloon for flight. 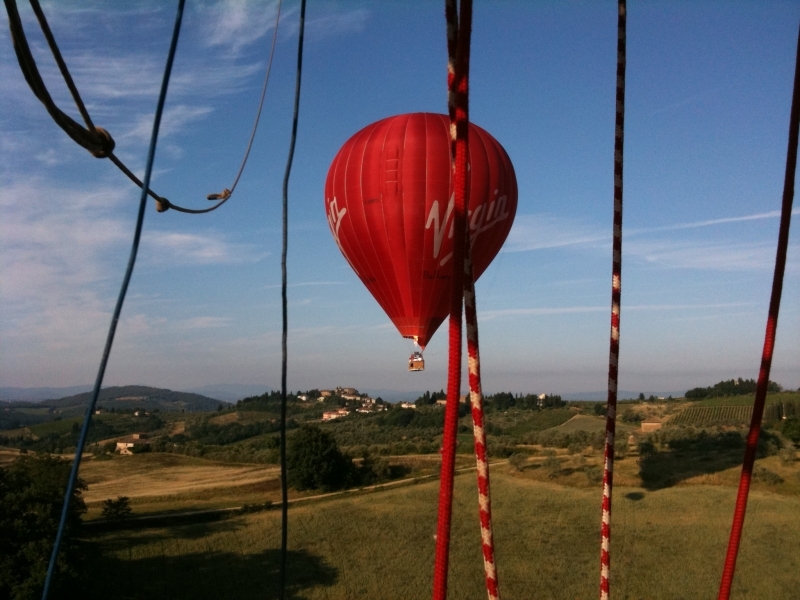 Taking off just after the sun rises, the flight itself lasts around an hour over glorious Tuscany countryside, dotted with picturesque vineyards, 100-year-old olive groves and small hilltop towns. Once the balloon is packed away, we will drive you back to our original launch site, following the route the balloon took as much as possible and arriving around mid-morning. 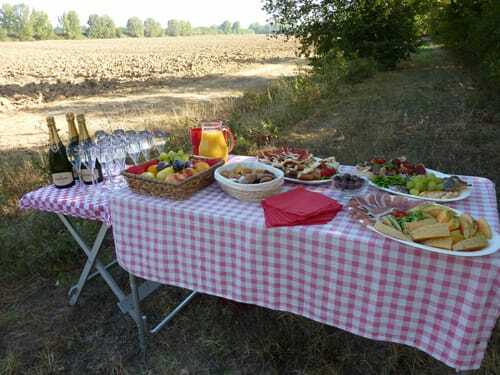 After landing, we celebrate with a traditional Champagne toast and a delicious continental-style breakfast* of freshly baked breads and pastries, local meats, cheeses and seasonal fruit. *Flights from the Avignonesi Winery include a special wine tasting brunch at the vineyard rather than a post-landing breakfast. 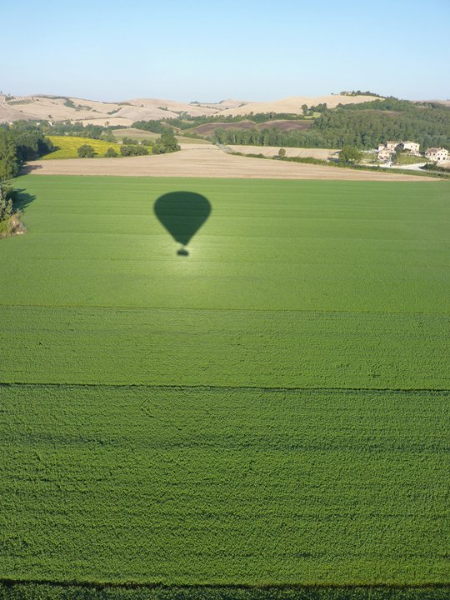 For that extra special flying experience, we also offer private balloon flights for just two to four people in our smaller balloon. Perfect for couples on honeymoon, milestone birthdays or anniversaries, an unforgettable marriage proposal or any other special occasion to make magical memories. If you are a larger group of six or more, we may also be able to offer you exclusive use of one of our larger balloons. Email us for a quote for private flights or call us on +39 3381462994. If you have a suitable field or lawn it may be possible to fly from your location. This requires some considerable organization which includes site inspection and examination of aeronautical charts. This is reflected in the charges that we make so please ask for further information. 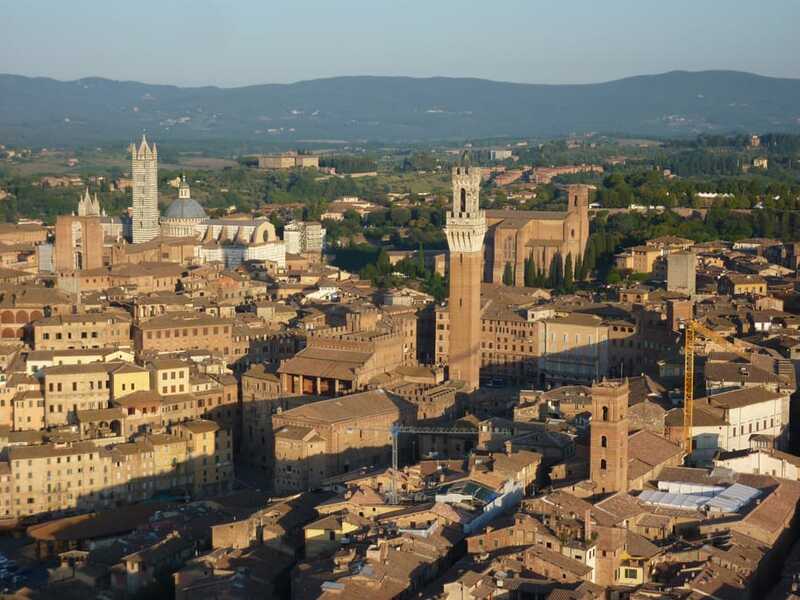 The area in which we fly spans across parts of Tuscany and Umbria, it starts from Cortona and Montepulciano in the south and ends just south of Florence in the north. It consists of rolling hills and steep valleys, villages on hilltops, and isolated farmhouses and castles. Closer to earth we can chat to farmers clipping their olive trees or seeing to their vines as we coast by down the valley, looking for a place to land, skirting castles and villages that have not changed in centuries. It is a well cared for landscape that is a pleasure to behold. 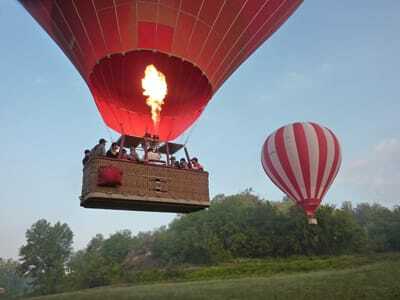 The Italian hot air ballooning season runs from mid-May to mid-October, with some annual variations. We schedule flights every morning between late spring and early autumn. 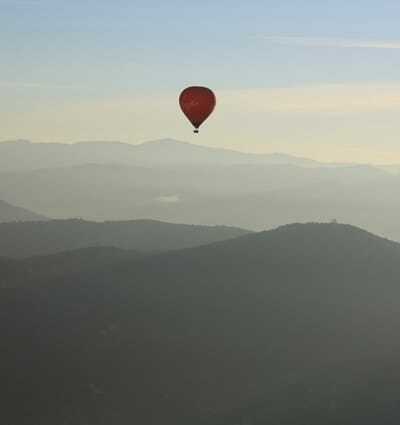 Ballooning is a fully weather dependent activity and your pilot will be in touch the evening before your flight to confirm whether or not conditions are suitable for launch. If your flight is cancelled due to the weather, we will re-schedule you onto the next available flight or give you a full refund if you prefer. With a meeting time of approximately 6am, we suggest considering an overnight stay close to your launch site if you would have more than a 45 minute drive.